How does NeutraCure work? The key to NeutraCure lies in its simple, yet often overlooked approach to acne treatment. 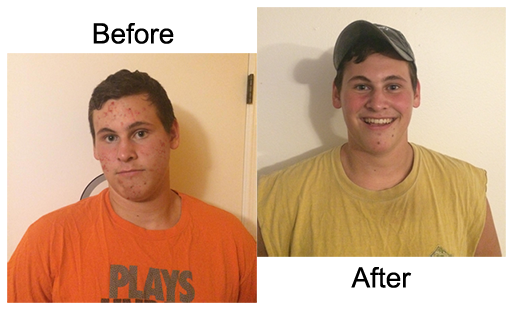 Acne, as with most bodily problems, appears on the outside of the body as the result of what is put inside the body. However, in today’s grocery market which is filled with additives, preservatives and processed foods, it can be difficult to consistently get all of the nutrients your body needs to decrease sebum production and effectively combat acne. NeutraCure’s all natural two-step process fills this nutritional deficiency, creates hormonal balance and regulates the factors that cause acne. 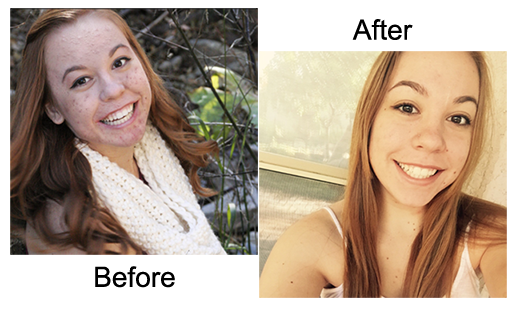 By fighting the problem at the source and healing acne from the inside-out, NeutraCure delivers unparalleled results and gives users the healthy, clear skin they have always wanted. WHAT IMPROVEMENTS CAN YOU EXPECT? Week 1: Mild improvement. Skin is red, irritated, and itches while skin adjusts to treatment. Week 2: Further clearing, followed perhaps by a breakout. The breakout clears more quickly than usual. Skin is slightly less red and irritated. Red spots from old acne linger. Week 3: Skin is definitely improved. Some cases are cleared up. Others are well on their way. Red spots from old acne linger. Week 4: Skin is looking very good. No new acne is forming, but red spots from old acne may still remain. Week 5-8: Skin stays clear, with perhaps a pimple here and there which clears quickly. Red spots are slowly fading. Week 8+: Ongoing treatment keeps skin clear. Red spots continue to fade until complexion is beautiful and clear. Important: If your experience does not closely match the above descriptions, don't fret. Stay patient and follow the NeutraCure Regimen precisely and you should see results. If you get a random breakout at any point, look back over the two weeks prior to the breakout and consider how you may have irritated your skin or veered off the NeutraCure Regimen. It can take a while for acne to surface. WHAT OUR CLIENTS SAY Check Out These Results!